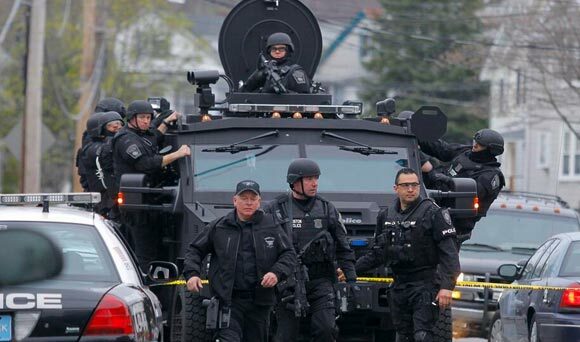 How Will Martial Law Come to the United States? 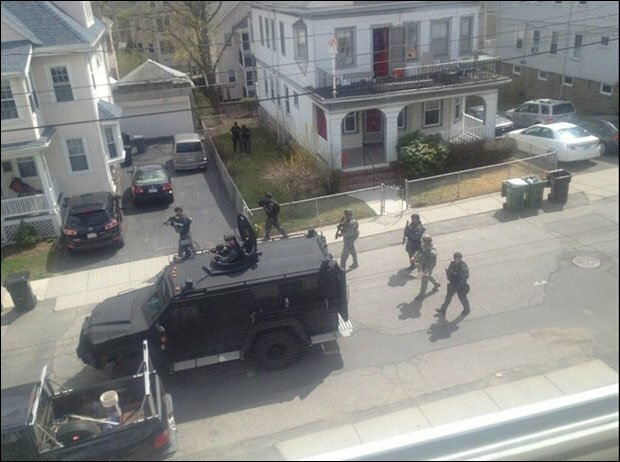 Regarding Boston: Thousands and thousands of cops, Department of Homeland Security, FBI, defense intelligence agency, SWAT teams, tanks in the streets, the most expensive surveillance systems in the world, and militarized police forces. Yet, the suspect was discovered by a civilian. Bring back the citizen-led militias and private intelligence. I pray we don’t fall for fascistic military law enforcement and a grand exchange of liberty for security. Necessary for capturing an injured teenager on the run? No way. Necessary for, say, making a statement? Perhaps. 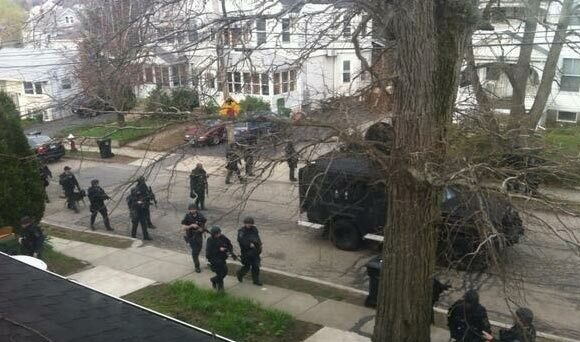 Necessary for getting the people used to this kind of military intervention on US soil? Again, perhaps. 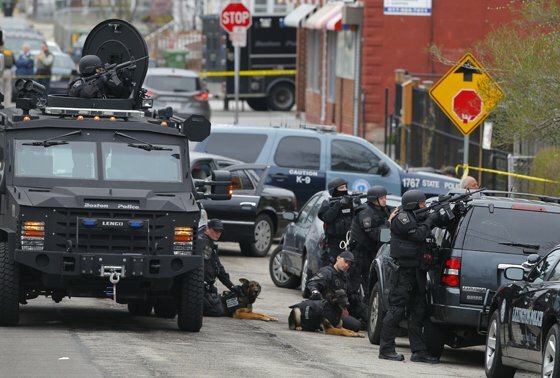 As one Bostonian had noted via twitter, part of the time, the SWAT teams and federal military police were not even searching for the suspect, rather, they were at a nearby mall parking lot that had been emptied and were doing sets of military drills. 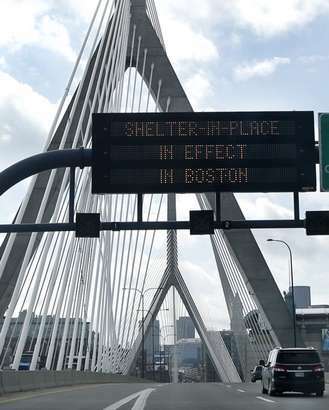 What in the world happened in Boston? 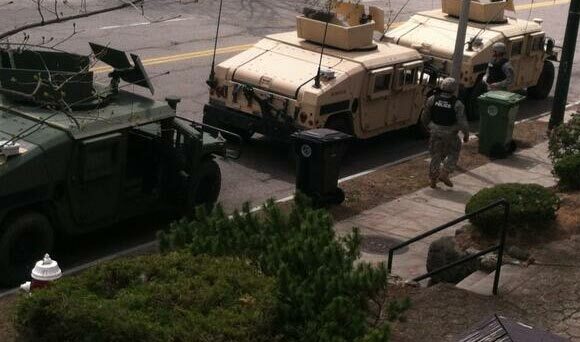 The entire city had been shut down by the Federal Troops! 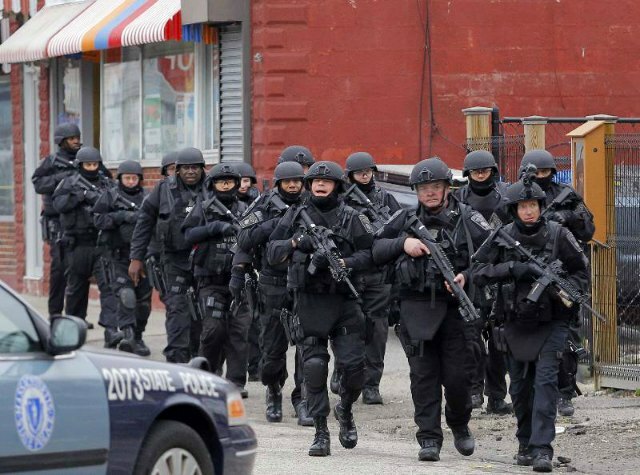 What will Martial Law look like when it comes to the United States? 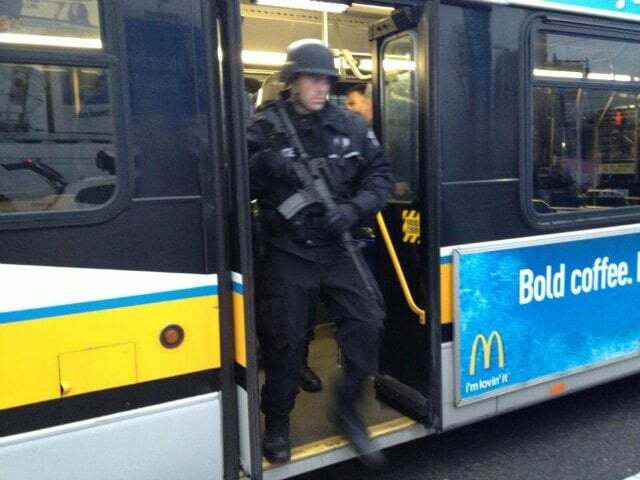 Well, here is an example, taken straight from Boston via Info Wars. (This post continues below the pictures). It is under emergency or “national security” that rights are taken away and people accept the militarization of society. If you think that the Germans who elected Hitler or the Russians that supported Stalin understood what was truly happening to their freedoms, you’d be incorrect. It was under emergency and threat of danger that the State moves in. What happened this week in MA was an example that America’s time is here. The suspect was guilty until proven innocent and his Miranda rights were waived. 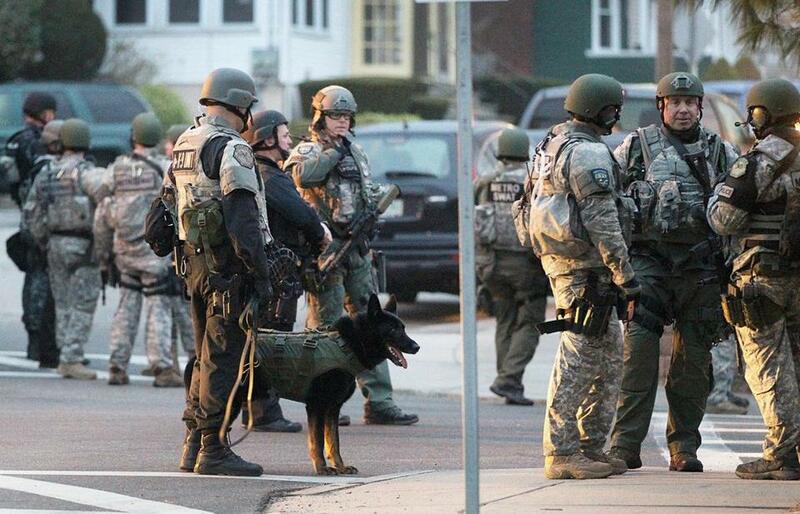 The people of Boston were under lockdown, lost their rights against forced search and seizure, and were at the strict mercy of the Federal troops. Let us never forget that Dzhokar Tsarnaev was discovered by a private citizen, who happened to go out and check on his boat (i.e. violating the lockdown order of the cops), see a body inside of it, and call the cops. In other words, the police state achieved nothing but the psychological conditioning of the population: when we, the state, decide any particular event is important enough, you will lose every single right including possibly the right to life if you resist. 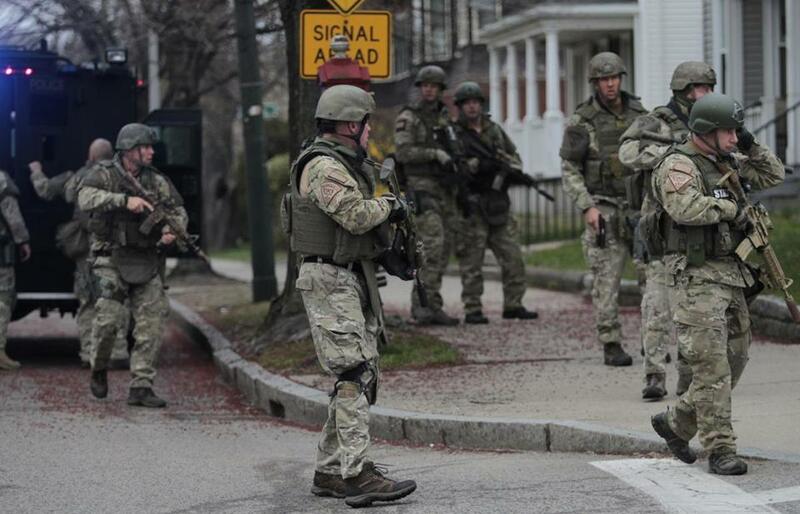 So, how will Martial Law come to the United States? My answer was going to be: under the assumption of “security.” After writing this post, my answer is: not will; it already has. Whether or not we had been told the truth about all the events (which I highly doubt), this was a massive demonstration –an attempt to impress on American minds that “the State is still in charge here.” But the people aren’t buying it. It seems that on the internet, there is more anger over the Government’s response than to the bombing itself. And while this may seem backwards, this is a very healthy sentiment.